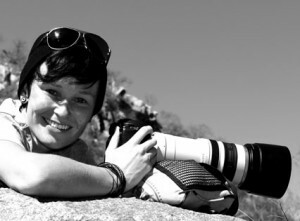 Wild PhotographiX is the realized dream of Caroline Schiess’ & Anna-C. Nagel’s passion for sharing their most memorable moments in the African Bushveld. There is an entire world thriving around us and the fight for survival evident everywhere. The relationship between the different species & individuals becomes a world on its own. When you understand these interactions, an entirely new language develops, drawing your senses to a deeper meaning. We have spent the last decade as wildlife guides & research field technicians. Living & breathing in the wilderness on a daily basis, has honed our skills & understanding of wildlife, it’s a part of us both. 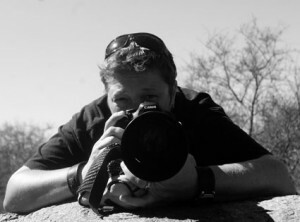 Wild PhotographiX represents our passion for African Wildlife. Through our Photography & our Safaris we hope to inspire our audience, giving you an intimate Glimpse of the power and dynamic beauty that Africa has to offer. Hi everyone, just a little about me. I was born and raised in South Africa to two very adventurous parents. We were always traveling and camping, climbing this mountain, hiking that trail and spending time in the wild searching for anything that moved. It’s growing up this way that instilled a deep curiosity to understand more about the environment and the interrelationships of all mother nature’s inhabitants. I started out as a wildlife guide and spent many years observing animal behaviour, during this time a passion for photography, wildlife film making and storytelling grew stronger, I wanted to share in a more intimate experience with wildlife. It was then that I became involved in conservation research and met my mentor Aaron, a retired honoured San Parks Ranger, whom had dedicated his life to conservation. He took me under his wing, and over the next few years of teaching, he awakened my senses to truly observe and listen. The wild speaks its own language. There are many sounds, sights and smells out there all telling their own story. I am passionate about bringing to you the story of life in the wild, the harsh realities the beautiful moments and finding the story, that mother nature surrounds us with every day to create conservation and wildlife awareness. Soon after I changed my modern life for the African bush & I’ve never regreted it. I qualified as a field guide & am living out my childhood dream: being close to free roaming animals. I’m currently working in a research project in the Greater Kruger region. I was always interested in photography but it was in the wilderness where I put my eye to the viewfinder & pressed the shutter button for the first time – getting completely hooked on it! Through my photography I try to capture the endless, beautiful facettes of nature & sharing my adventures with you, hoping to open up your eyes to the beauty of our planet. Whatever happens, you feel privilged to witness these moments & you will feel it right under your skin. This is Africa. My Dream. My Life.